Adobe on Monday said it began shipping Creative Suite 3, the company’s suite of applications designed for the creative professionals. Available today are Adobe Creative Suite 3 Design Premium and Standard editions and Adobe Creative Suite 3 Web Premium and Standard editions. 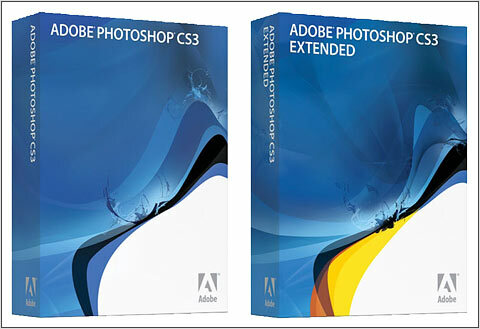 Adobe is also shipping new standalone versions of Adobe Photoshop CS3, Adobe Photoshop CS3 Extended, Adobe InDesign CS3, Adobe Illustrator CS3, Adobe Flash CS3 Professional, Adobe Dreamweaver CS3, Adobe Fireworks CS3, and Adobe Contribute CS3. Adobe Creative Suite 3 Production Premium, and Adobe Creative Suite 3 Master Collection are expected to ship in the third quarter of 2007. Adobe Creative Suite 3 Design Premium edition costs $1799 and $1199 for Creative Suite 3 Design Standard edition. Creative Suite 3 Web Premium costs $1599 and Adobe Creative Suite 3 Web Standard costs $999. After being in beta for some twelve months Adobe has today announced the availability of Photoshop Lightroom 1.0 'Final' at an introductory price of $199 (until April 30; after that $299). This new offloading, browsing, organizing and editing tool promises improved professional workflow for everyone including easy to use pick/reject features and tagging. In addition Lightroom leverages Adobe Camera Raw meaning it can read and display hundreds of Raw formats. Photoshop Lightroom should ship in mid-February. SAN JOSE, Calif. — Jan. 29, 2007 — Adobe Systems Incorporated (Nasdaq:ADBE) today announced that Adobe Photoshop® Lightroom™ 1.0 software is now available for pre-order and is expected to ship in mid-February 2007. 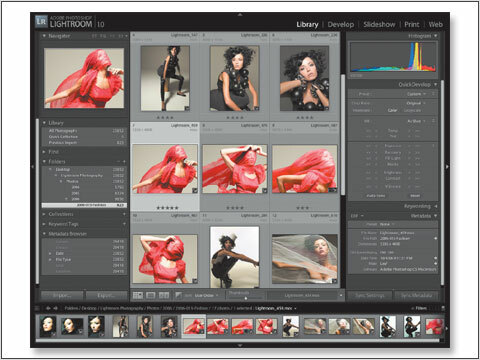 Photoshop Lightroom enables professional photographers to import, manage and present large volumes of digital photographs, helping photographers spend more time behind the lens and less time at the computer. With more than 500,000 photographers participating in the public beta program over the last 12 months, Photoshop Lightroom now includes a wealth of innovative features that streamline digital photography workflows. Recognizing the photography community for their efforts, Adobe is offering Photoshop Lightroom at a special introductory price of US $199 through April 30, 2007 at the Adobe Store. Photoshop Lightroom will later sell for an estimated street price of US $299. Photoshop Lightroom includes new functionality added since beta 4.1, with significant changes to the Library and Develop modules complementing improvements to the Slideshow, Print and Web components. While in the Library module, new advanced keywording tools help photographers filter through large collections, and an improved import dialogue with more flexible file handling allows more choice when determining file location. The new Key Metadata Browser provides quick access to key information tags with an improved ranking and rating system that now incorporates color labels and a pick/reject system that sorts and locates photographs faster than ever. New to the Develop module, Virtual Copies and Snapshot tools help present multiple versions of the same image, providing the most choice to clients without the confusion of saving separate physical versions. Additional tools added include a Hue, Saturation and Luminance targeted adjustment tool for precise and intuitive image edits. Clone and Healing features provide non-destructive edits to eliminate sensor dust across one or many images. Photoshop Lightroom leverages Adobe Camera Raw technology and supports over 150 native raw file formats, in addition to JPEG and TIFF, bringing raw conversion into a single workflow experience. The latest camera models supported include the Nikon D40 and D80 and the Pentax K10D. This support means that photographers can use Lightroom with even the newest cameras on the market, knowing that the image files will be recognized today and in the future. Upon import, files can be converted to the Digital Negative specification (DNG) or renamed and segmented by folder or date. DNG is an industry-wide initiative to create a universal file format for solving workflow and archiving issues. It aims to eliminate barriers to new camera adoption while giving professional photographers the confidence that their digital body of work is securely archived and will remain accessible as digital imaging technology evolves. Adobe Photoshop Lightroom will ship in mid-February 2007 and is available for pre-order in the United States and Canada through the Adobe Store at www.adobe.com/store for a special introductory price of US $199. The $100 discount is offered to all customers through April 30, 2007 in appreciation of loyal Photoshop users, early supporters of Photoshop Lightroom and beta participants who devoted time, energy and feedback throughout the process. Photoshop Lightroom will later sell for an estimated street price of US $299. Recommended system requirements are Macintosh OSX 10.4.3, 1 GHz PowerPC G4 processor or Microsoft® Windows® XP SP2, Intel® Pentium 4® Processor, and 768 MB RAM and a 1024x768 resolution screen. Adobe Photoshop Lightroom is a Universal Binary application that will run natively on PowerPC and new Intel-based Macintosh systems.